Start 'Trad' climbing on the stunning crags of the UK under the watchful eye of a highly experienced climber, Mountaineering Instructor and climbing coach. Work toward becoming an independent 'lead' climber who can place good runners and build safe belays. The FIVE day package should take you from beginner to an independent outdoor climber. The TWO day package assumes that the basics are in place, that you have climbed both inside and outdoors, and that you have seconded some routes. Climbing in the Yorkshire Dales has been the best school trip I have ever been on, I learnt so much about what I can do. Indoor climbing instruction at one of our excellent indoor centres in the North East. Newcastle, Sunderland and Durham all have fantastic climbing walls which our instructors use regularly. Transfer from climbing wall to outdoor rock climbing with ATNE's Wall to Rock courses, either rock climbing or bouldering in Northumberland, Yorkshire or the Lake District. 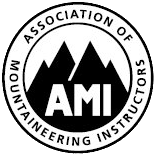 Structured training opportunities for people who want to learn more and become independent rock climbers. Climb classic mountain routes in the stunning Lake District and develop your skills as a multi-pitch rock climber.